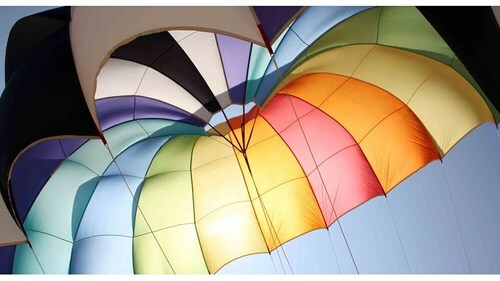 IT consultant Sam Birtwistle in taking on a sky diving challenge in aid of St Richards Hospice. Please show your support and donate via the just giving link, here. 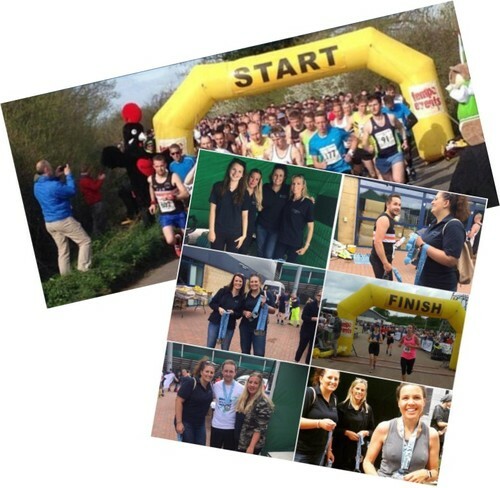 Our IT Consultant Jen and Branch Admin Nicki, alongside Nicki's 6 year old son, are running the Messy 5K for St Richard's Hospice. Please show your support and donate here! Throughout December, Hewett Recruitment held an annual appeal for food donations to give to local Worcestershire food banks, helping support those in need over Christmas. 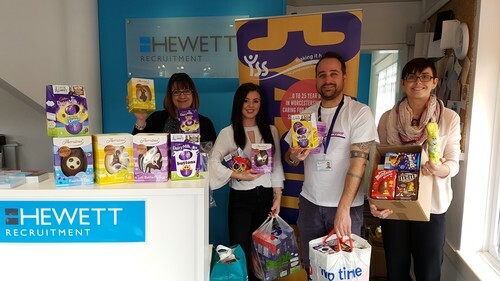 This year, we received an overwhelming amount of support from our HR Conference Delegates, Southco, Malvern Panalytical, each member of the Hewett Recruitment team and the generous public. We’re proud to announce we’ve successfully collected more donations than ever before, making a true difference to local people’s lives this Christmas. 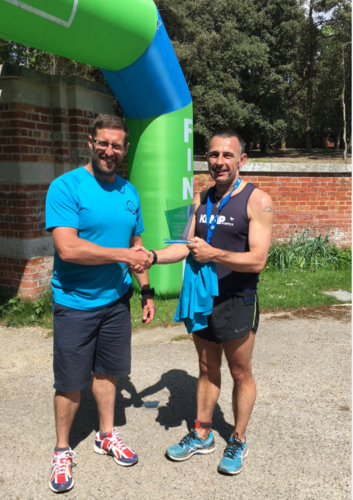 Dom, our specialist Engineering Consultant joined 10 of his friends who ran a combined distance of 1191.7km throughout the month of October, further than London > Cardiff > Belfast > Edinburgh! 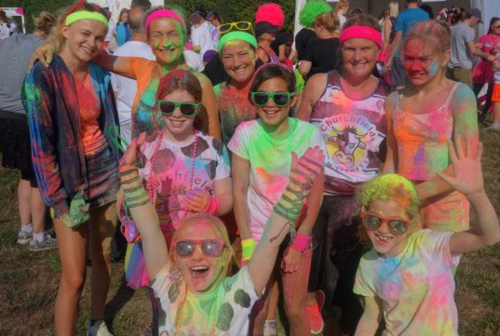 They raised a fantastic £1383 for the brilliant charity Mind, who support mental health. This not only exceeds their original £500 goal, but also smashes their second £1000 target! 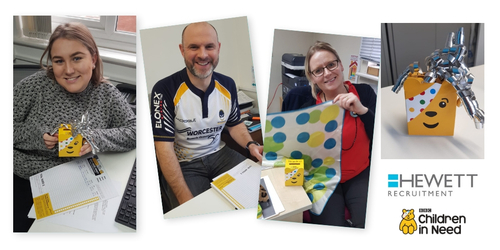 All the money raised will help those who suffer get the support they need giving them reassurance they are not alone, as well as aid in improving services and information. Well done to 'Team-Camaraderie' - you guys rock! Support Dom and donate via the Just Giving Page. Read all about the initial idea in this Worcester News article. To donate and show your support for this achievement please click here. 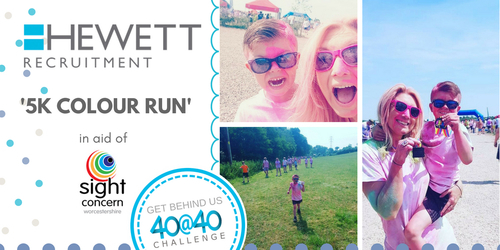 As part of the 40@40 Challenge Nicki our Administrator for our Worcester branch took on the 'Go Bright for Sight 5K Colour Run' challenge in aid of Sight Concern. 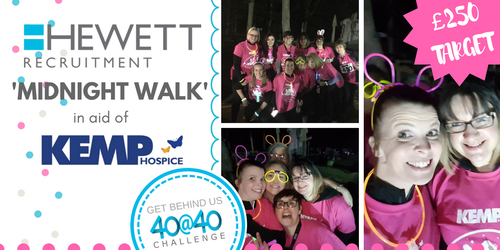 The 40@40 challenge continued with the ladies from our Kidderminster branch taking part in the ever popular Kemp Hospice 5k Midnight Walk. The walk was a fabulous, fun night out raising funds for an inspirational local charity. The girls loved it! Read more on the Worcester News. Please help donate to Kemp Hospice via our Just Giving page. 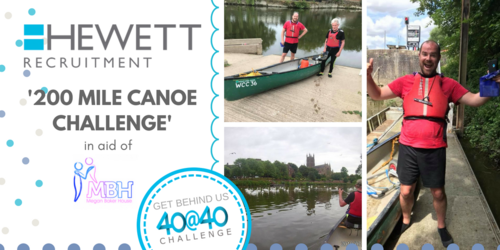 The 40@40 challenge will officially kick-started with two of the firm’s Directors director's Laura Hewett & Ben Mannion braving the cold and sleeping outside at Sixways Stadium. 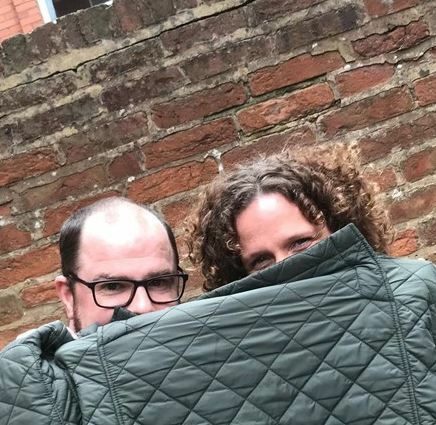 The pair gave up their beds as part of the CEO Sleepout Worcester to raise awareness and funds for homeless people in the local area. 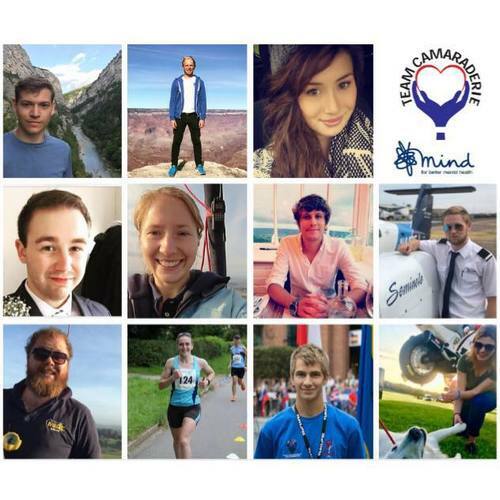 Please help Ben & Laura's challenge and donate via our Just Giving page, Thank you!